To start things off, welcome to vPrimer! This blog will be a source of how-to’s, information, and news centered around virtualization, security, and networking. I hope to provide a viewpoint from inside the industry that will be useful no matter if you are a home lab user or large enterprise administrator. I always welcome comments and discussions as one of the best ways to learn is from everyone around you! Now, what fun is a first post without some technical content? So let’s get to it! 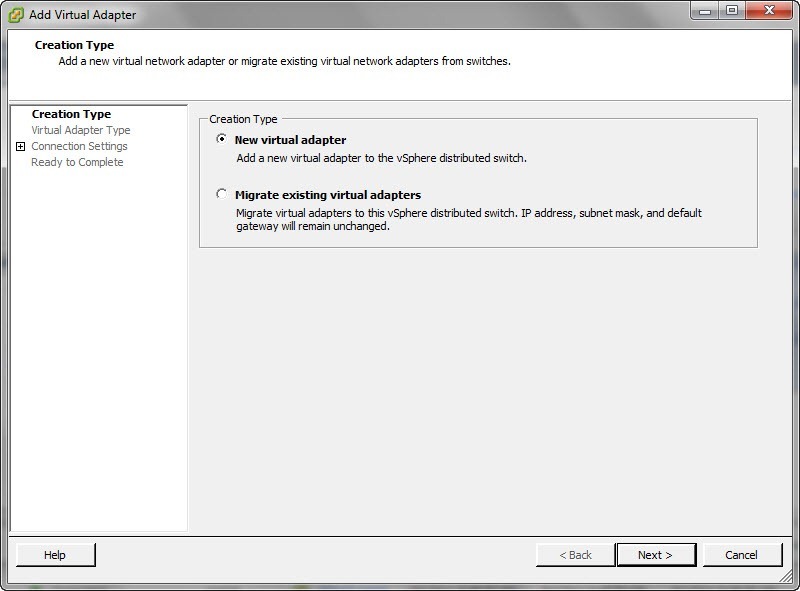 Today’s post will briefly go over the changes to setting up a software iSCSI adapter and VMkernel port bindings in vSphere 5. 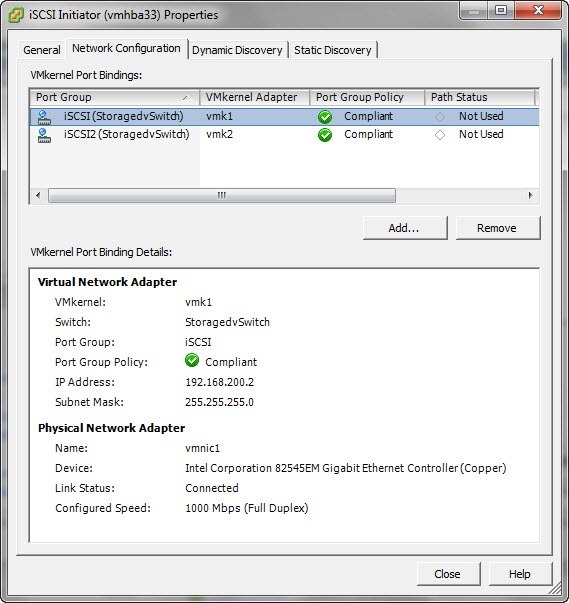 One of the biggest changes you’ll notice is the addition of iSCSI port bindings to the vSphere GUI. To setup and use multiple pNIC’s for iSCSI in 4.1, part of the process had to be done via CLI. It is now all wrapped into the client for a much cleaner look. 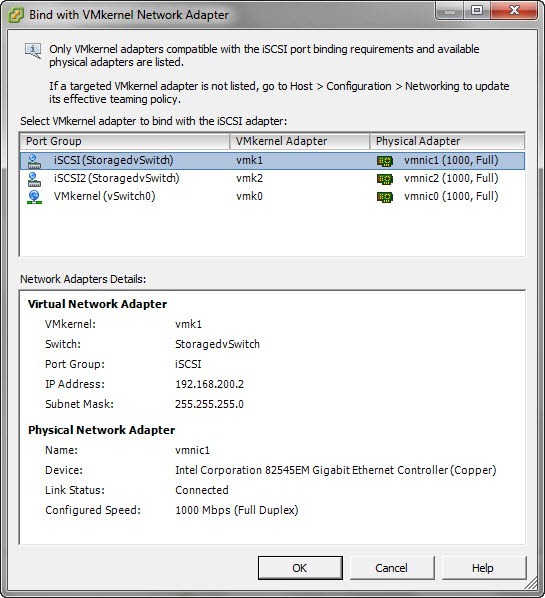 Next you’ll want to repeat these same steps and add a second VMkernel adapter and make sure to add it to the second iSCSI port group (iSCSI2 in my case). 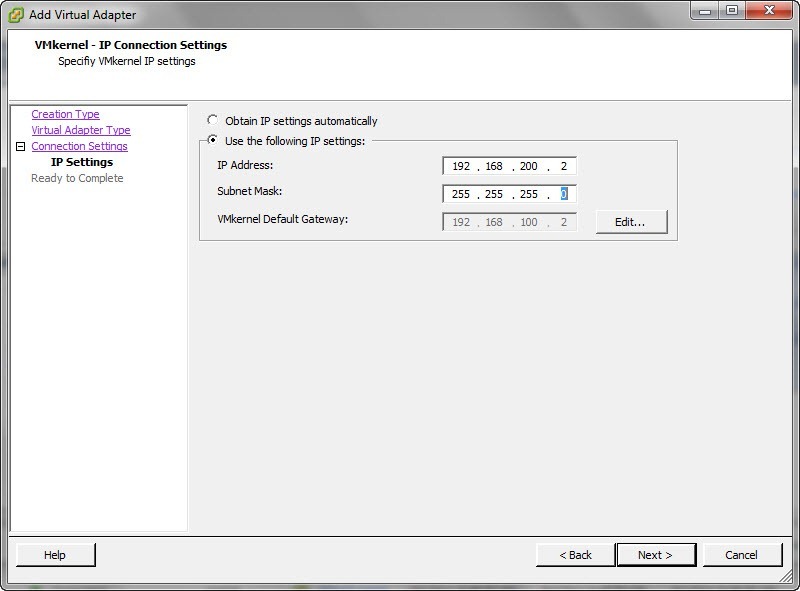 Now click on the iSCSI adapter and choose properties. Under the Network tab, the VMkernel Port Bindings section should be empty. Let’s fix this by clicking Add. 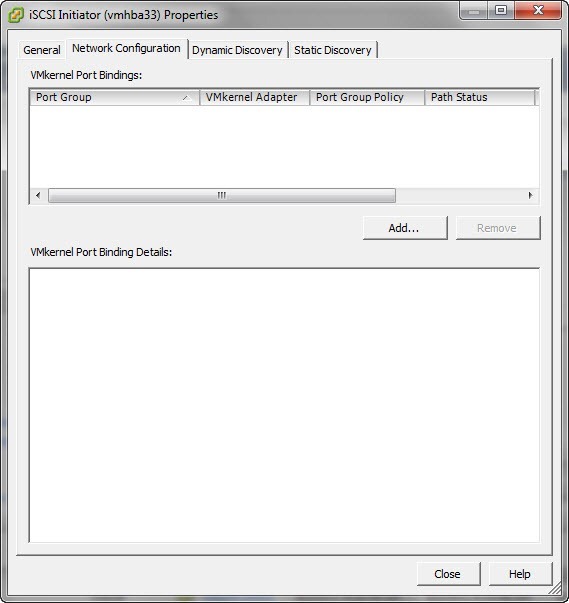 The next screen allows you to choose which VMkernel ports you want to bind to the iSCSI adapter. 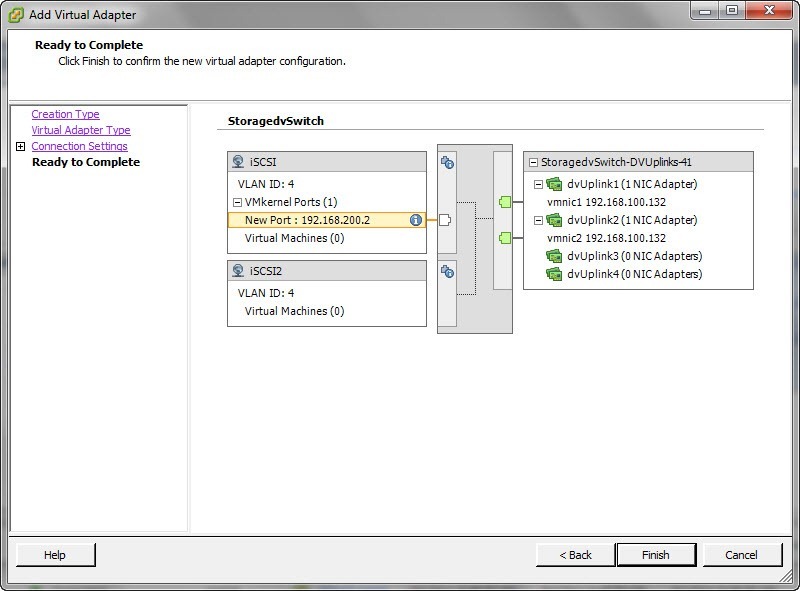 You can see the two ports we just created (vmk1 and vmk2) that are on our StoragedvSwitch. You can only select one port at a time, so select the first one and then repeat this procedure for the second. At this point, you’re free to add in your iSCSI discovery targets and proceed with adding storage. This process is not drastically different than in 4.1, but if you’ve had to do the CLI work before, this makes it a lot cleaner. I’m also a graphical person, so it’s nice to see the status/bindings right in the GUI. And that about wraps it up for this post. Thanks for reading and I hope you found this useful. Look for more content to come and as always, I welcome any comments or feedback!